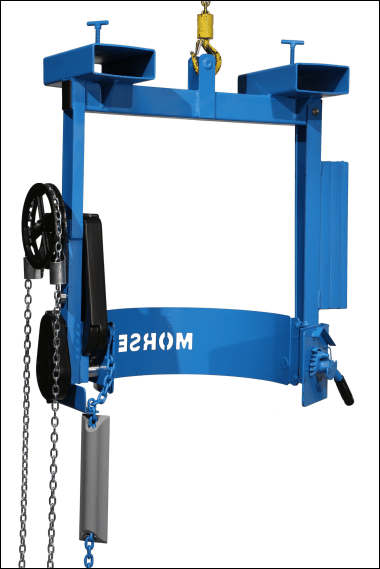 Drum holder is entirely below the forks. 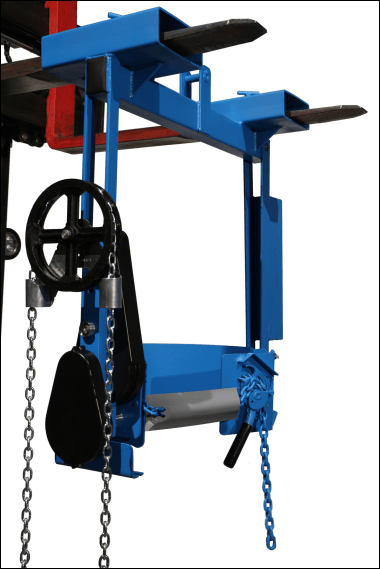 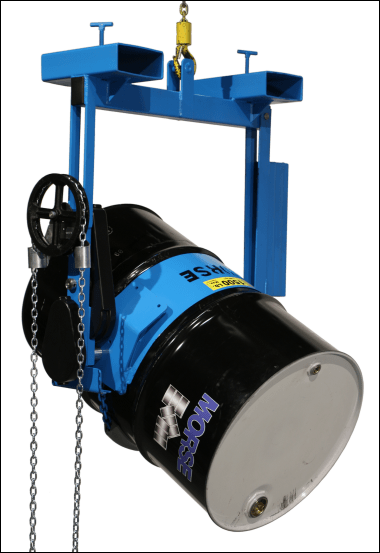 Works with a walkie stacker or forklift that cannot spread wide enough to accommodate a drum. 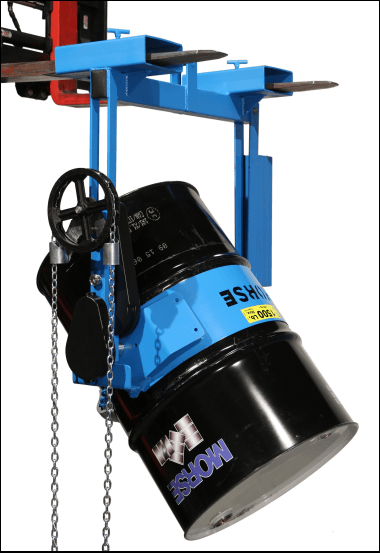 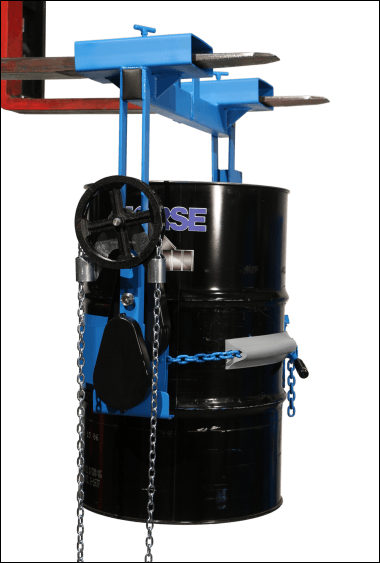 A safety conscious method to lift, move and pour a drum with your equipment.